Need to move your workstation easily from place to place? Every Workplace platform—standard, heavy-duty, motorized, or cabinet—can become a mobile workstation. 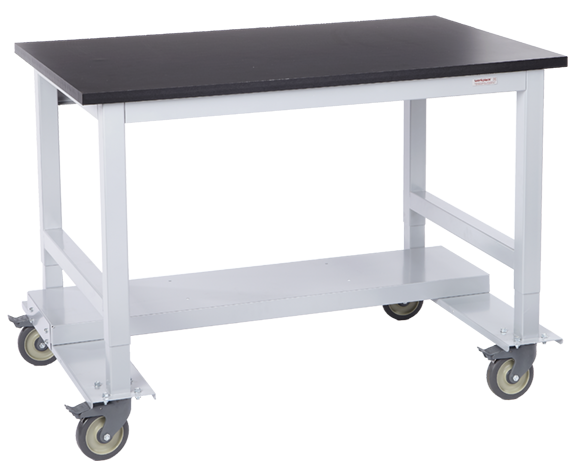 Mobile workstations let you move the bench to the task—wherever you need it, whenever you need it. 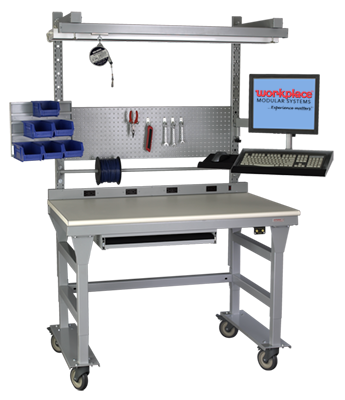 Even if you already have a stationary workstation, they can be upgraded in the field using our mobile retrofit kits. 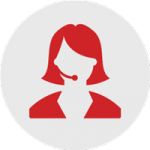 Configuring Mobile does require a different style leg and the correct caster for the application. 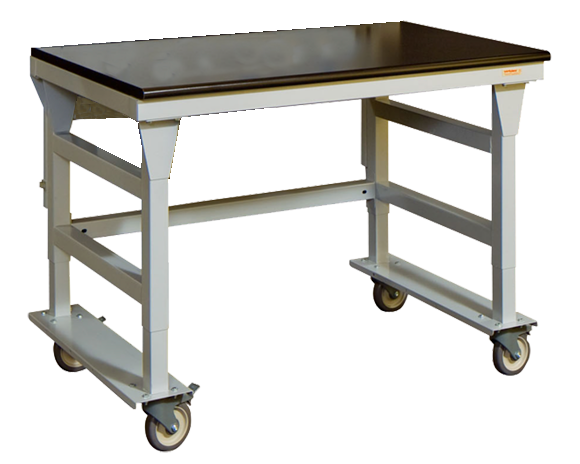 Mobile leg sections are constructed of 2″ square 18 gauge furniture-grade tubing and a channel caster base. Includes provisions to mount an under table shelf or lower swaybar for added stability. Workstation height may be adjusted in 1-1/2″ increments. Add accessories to fit your Mobile Standard Workstation to the task at hand. More information about Standard Workstations. Choose a heavy-duty workstation for higher capacity requirements, seen in applications on the factory floor, in R&D or the lab. Add accessories to fit your Mobile Heavy-Duty Workstation to the task at hand. When you choose a motorized height-adjustable workstation, mobility and electric height adjustment creates the most ergonomically correct workstation available anywhere. The motorized adjustable table is unique in that it can be both mobile and stationary at the same time. To make it mobile, a caster kit is added to standard leg sections. When you lower the workstation to its lowest position it becomes mobile. Add accessories to fit your Mobile Motorized Height-Adjustable Workstation to the task at hand. 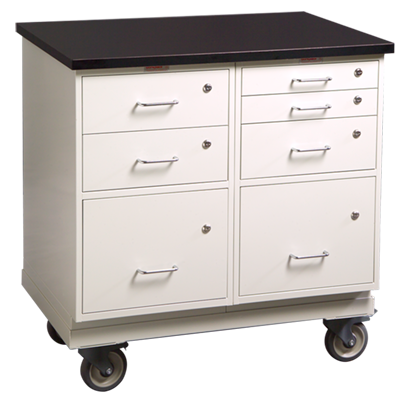 Cabinet Workstations deliver maximum value and utility in an attractive package featuring generous storage. 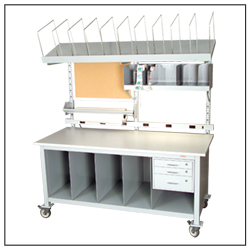 Configuring your cabinet workstation to be mobile requires the incorporation of a mobile base. Standard cabinet configuration are dropped into the base and secured on all sides for maximum stability. Casters can be selected based on the application requirements. Depending on the storage requirements of your application, single, double, and even triple-cabinet mobile units can be designed with the flexible Mobile Cabinets and framework. Add accessories to fit your Mobile Cabinet Workstation to the task at hand. Available in 5″ and 3″ diameters. Use the lower-profile 3″ caster for applications where the workstation height is critical. Both caster sizes feature a polyolefin roller bearing, 3″ wheels and 400# capacity. 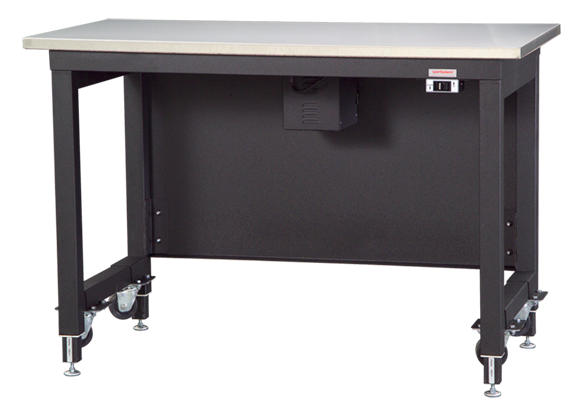 Note: The Motorized Height-Adjustable Workstation utilizes a unique caster for its mobile applications. 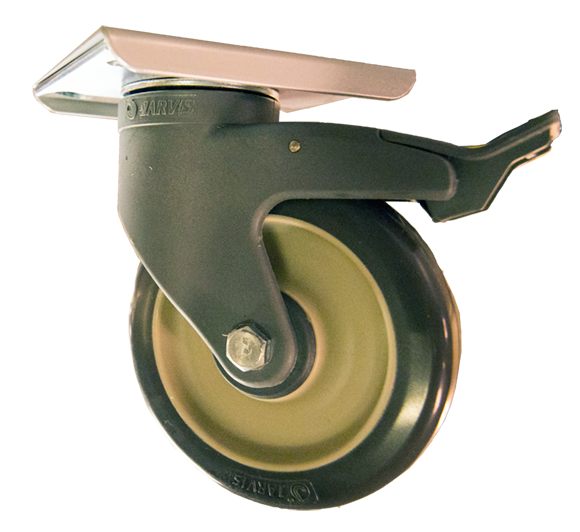 These casters simultaneously locks the swivel and the wheel, making the unit stationary. 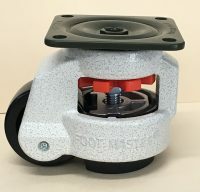 Total Lock casters are available in 250# or 500# capacity. For applications where the workstation height is critical, a high clearance profile caster is available.